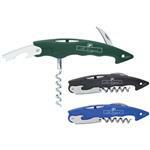 This Laguiole 5 piece gift set includes a corkscrew, stopper, thermometer, pourer and foil cutter. 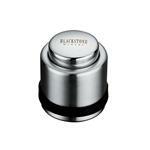 Includes a black wooden case that provides convenient presentation and storage. The lid of the box is accented with the Laguiole® bee, a symbol of superior quality in honor of the centuries-old tradition of craftsmanship made famous by Laguiole® knife makers! 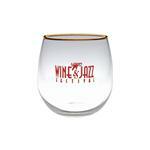 This is a quality corporate gift wine set. 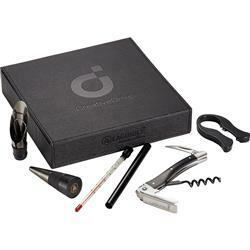 5 piece gift set includes a corkscrew, stopper, thermometer, pourer and foil cutter. 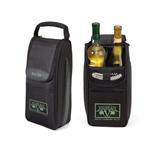 Includes a black wooden case that provides convenient presentation and storage.